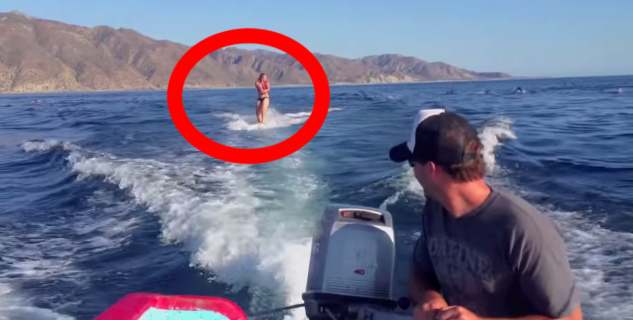 They Were Wakeboarding On The Open Sea When Suddenly They Saw THIS. Incredible! When a group was out in the Sea of Cortez they caught this incredible moment on camera. This is a once in a lifetime experience which they will never forget!